Beckenham lies within Bromley, a particularly green and pleasant part of Kent which lies to the south east of London. 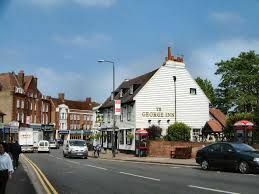 There are many historical sites including the 17th century George Inn plus green and leafy spaces such as Beckenham Place Park which is bordered by ancient woodland. Car users can reach the area easily via the A222, A234 or A2015 while public transport is equally as convenient with both Tramlink services and six train stations in the proximity. Carpet shop and underlay fitting in Beckenham, Kent. For the most professional carpet and underlay fittings in Beckenham, turn to the masters. 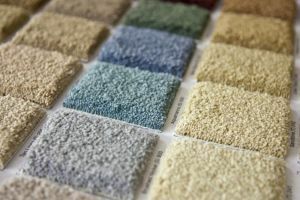 We have a team that has specialised in carpet and underlay fittings in order to bring you nothing but the best service. Having worked in the industry for many years, Cherry Carpets is guaranteed to offer you the best options to suit your needs. Add to this, at no cost at all, we will bring a sample carpet to you in Beckenham, Kent. As a result of this home-delivery and sampling service, our costs are much lower as we do not have to factor in the cost of a physical shop. We work with the best underlay suppliers to ensure that our customers get only the best underlay: one that produces minimal amount of noise, brings out the comfort of your carpet and ensures that the carpet you’ve chosen to invest in lasts for years to come. Real wood and Engineered wood fitting in Beckenham, Kent. Should you opt for a wooden floor, we promise to provide you with the floor of your choice. You can choose from engineered or real wood floors and no matter the type you choose to go for, we have a highly experienced floor fitter that can come and install the floor. We ensure that we source our wood from the best suppliers so that the wooden floor you install in your house is of the highest quality and will not disappoint you after a few short years. Should you have any questions regarding wooden floors, we are always ready to assist you. Why fit laminate flooring? Laminate floors are good-looking, easier to clean should something spill and are more durable. Should you have dust-allergies, laminate floors are ideal for you because they don’t hold dust. Because we use only the most long-lasting materials to laminate your floor, you can be assured that your floor will not only look beautiful, but this beauty will last for years to come. For vinyl tiles that are sure to wow your visitors and be kind to your feet, and that are kind to your pocket, Cherry Carpets is the place to turn. We offer a wide variety of tiles including the famous Karndean and Amtico tiles. If the high cost of these top brands is a concern, we have our own brand of tiles that are high quality, good-looking and far cheaper than these renowned brands. Our team of fitters is perfect at fitting luxury vinyl tiles that are also practical and of high quality. For water-resistant, long-lasting and resilient flooring, why not try vinyl flooring or linoleum? Opt for either and have our fitter install it with the design that you fancy. Vinyl flooring is artificial flooring that is value for money and promises to be gentle on your feet. Linoleum, on the other hand, is a natural option. We also specialise in customised flooring through which you can show off your artistic skills. Have a particular colour or design in mind? We can give you a bespoke fitting. No flooring desire is too far-fetched for us.